START THE NEW YEAR IN YOUR NEW HOME! 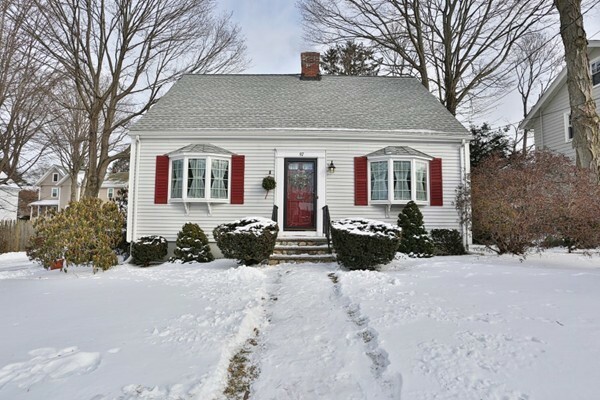 Charming New England Cape located in the sought after Bellevue area of Melrose! The first floor offers a front to back fireplaced living room, eat-in kitchen that opens nicely to a classic dining room and a full bath. Alcove offers a space to sit and do some work! Head up to the 2nd floor where you will find 3, thats right, 3 bedrooms all with good closet space and another full bath! The lower level is partially finished with a family room and large utility/storage/laundry area. Great curb appeal with a large level lot! The oversized deck off the kitchen offers the perfect space for outdoor dining and entertaining while the fabulous fenced yard offers endless possibilities. Roof is 2016! 2 car garage and plenty of parking for family and friends! Great chance to get into the Melrose east side and do a little work to make this your forever home! Take our virtual walk-through tour to realize the potential of this great home!